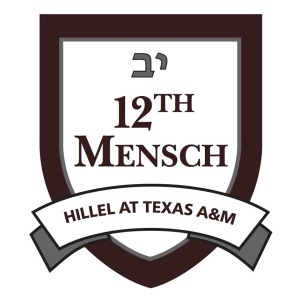 Hillel and Chabad are planning a weekend of Jewish life at Texas A&M University for Jewish high school juniors and seniors. 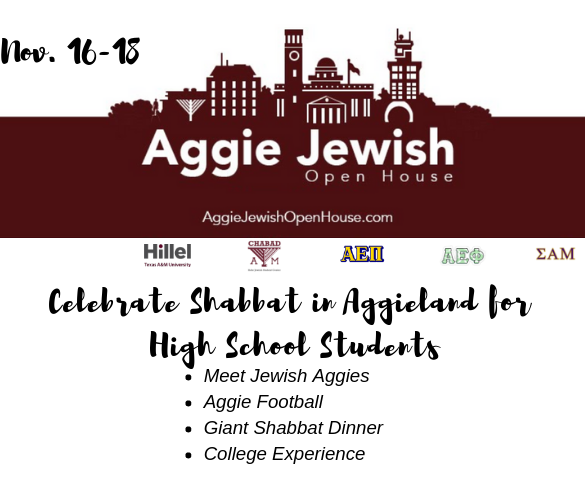 This will be the 7th annual Aggie Jewish Open House. 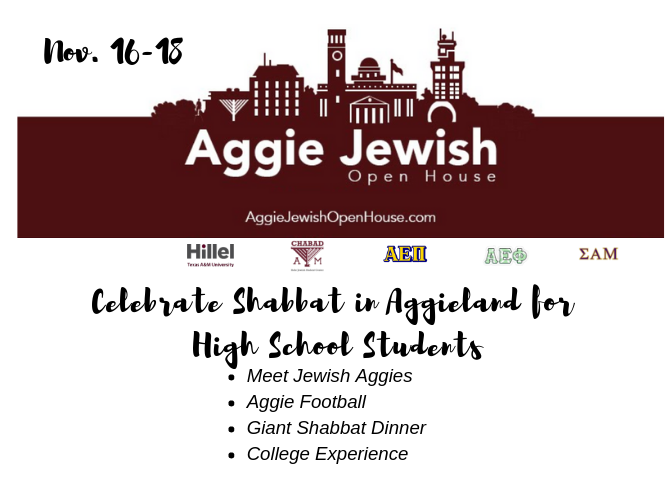 Aggie Jewish Open House begins at 5 p.m. on Friday, November 16, 2018 with candle lighting followed by Friday night services and a delicious Shabbat dinner. 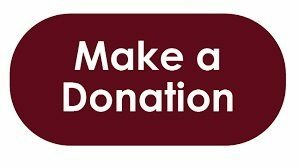 On Saturday, November 17th, all participants will be treated to the famous Aggie Football experience when the Texas A&M play University of Alabama Birmingham. Students have the opportunity to stay overnight with current students, but pre-registration is required at AggieJewishOpenHouse.com. Registration is $36 and covers home hospitality, all meals, and a ticket to the football game. 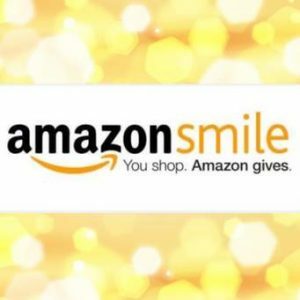 Registration must be complete by Tuesday, November 6th. 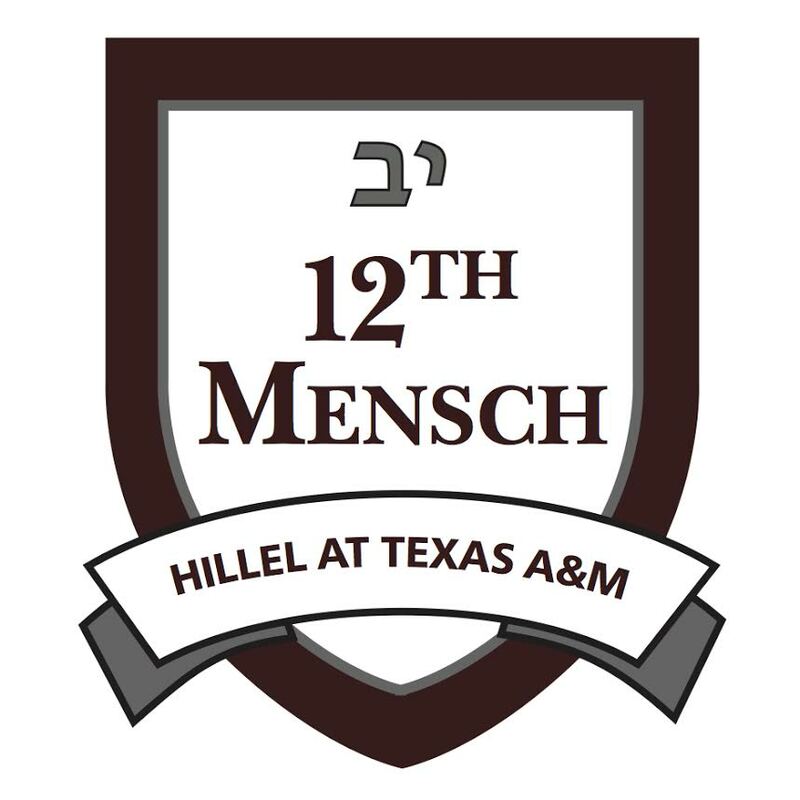 If you have additional questions, please contact Risa at 979-703-1856 or risa@tamuhillel.org.